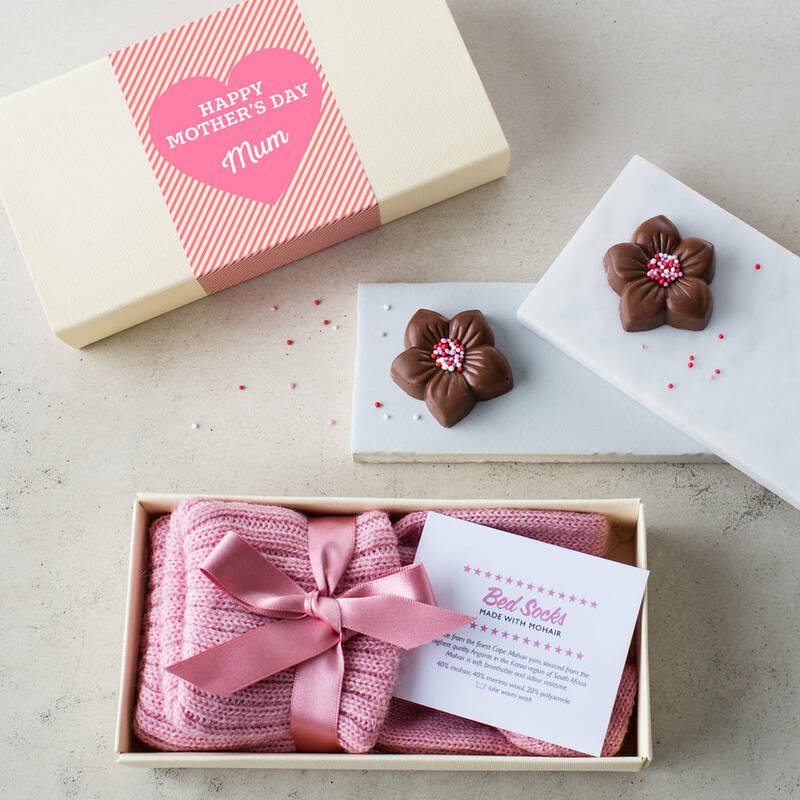 This Mother's Day spoilt your mum with a pair of pretty bed socks and handmade chocolate flowers, presented in a gorgeous personalised gift box. Mohair - These socks are made from the finest mohair yarn sourced from the highest quality Angoras in the Karoo region of South Africa. Soft, breathable and odour resistant, mohair bed socks are practical as well as being cosy. 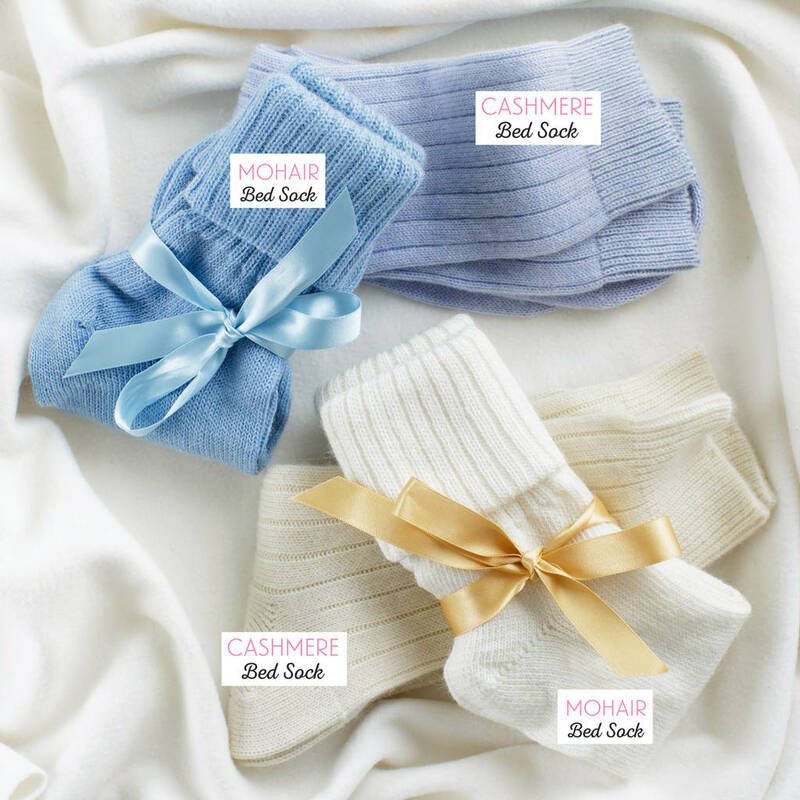 Cashmere - These super soft socks are made by fine English sock makers Pantherella. With an extraordinarily soft touch and warmth, these are the ultimate in pampering for your feet. 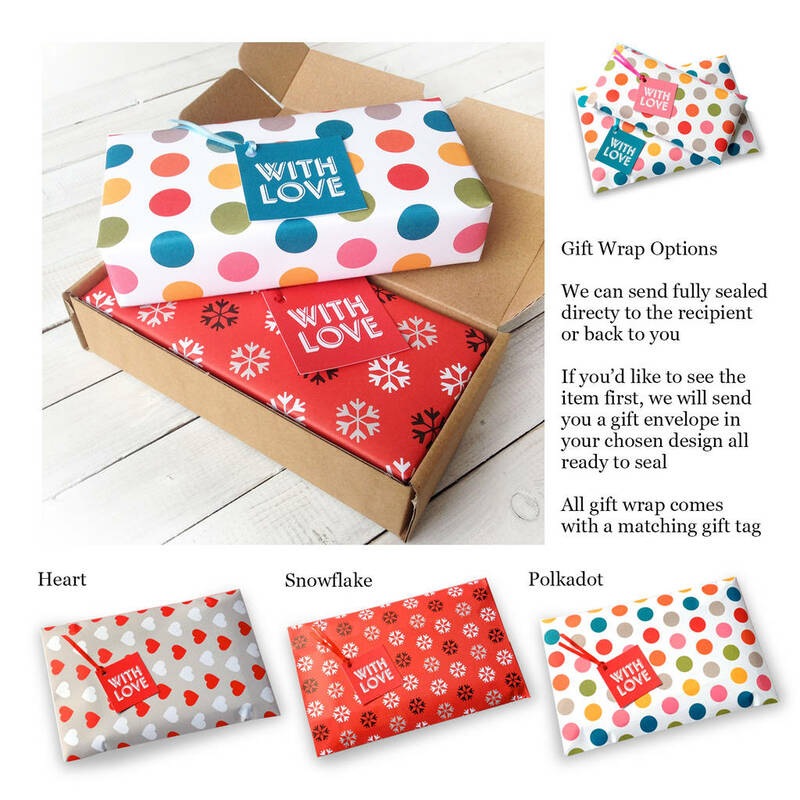 Choose from cream, soft blue or pink. 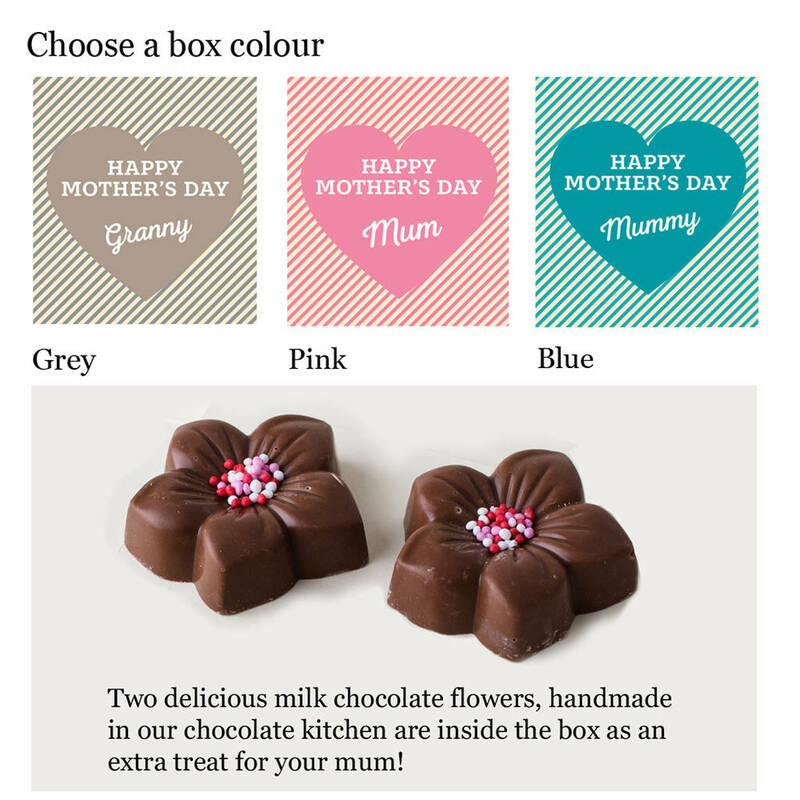 Each box contains two delicious handmade milk chocolate flowers. 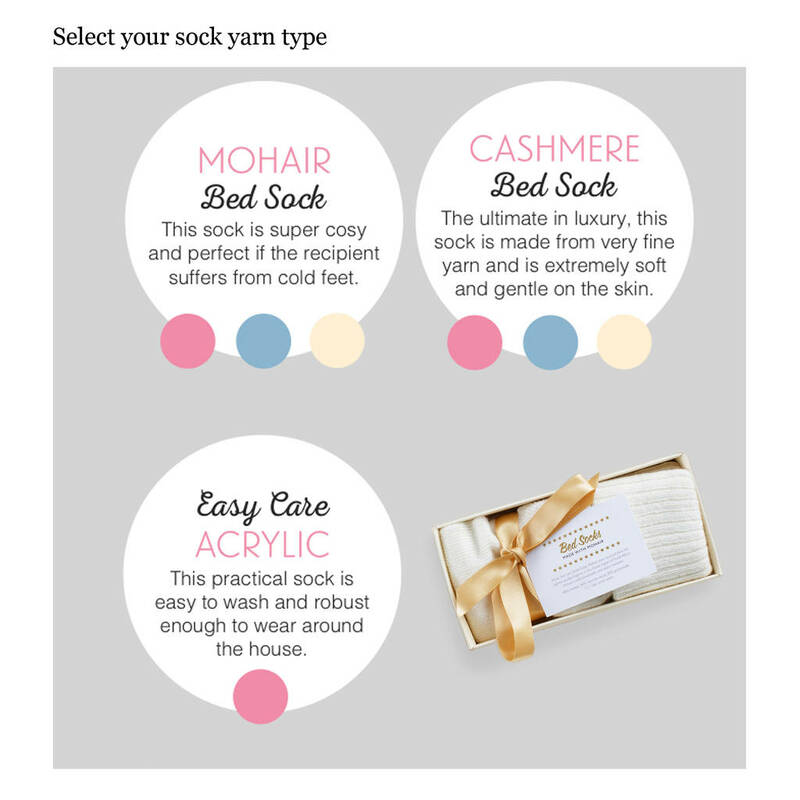 Mohair bedsocks are made in South Africa from 40% mohair, 40% merino wool and 20% polyamide. 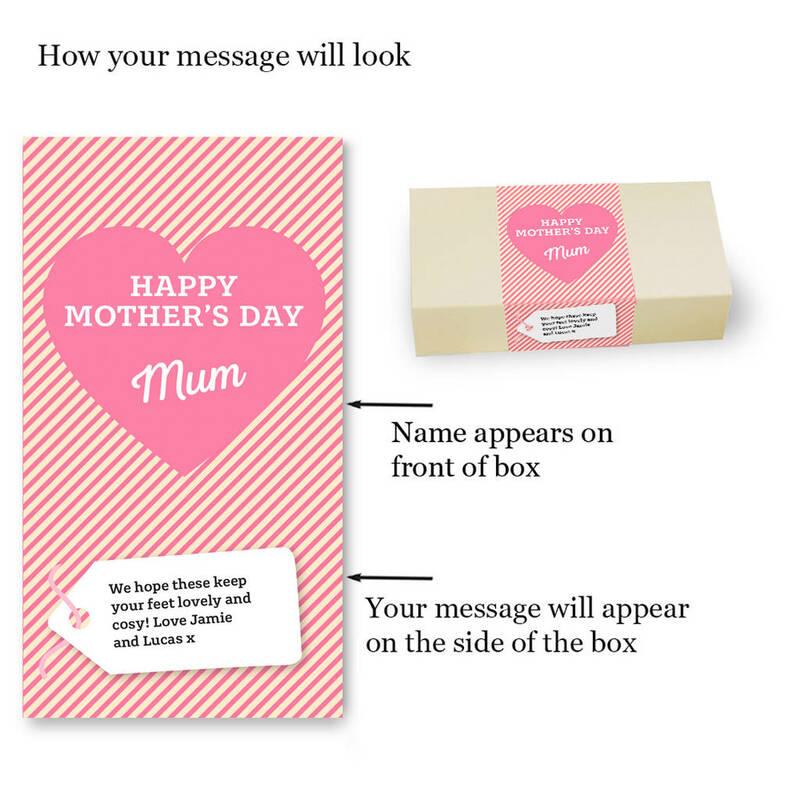 Washing instructions: wash in luke warm water, do not iron and do not dry clean.